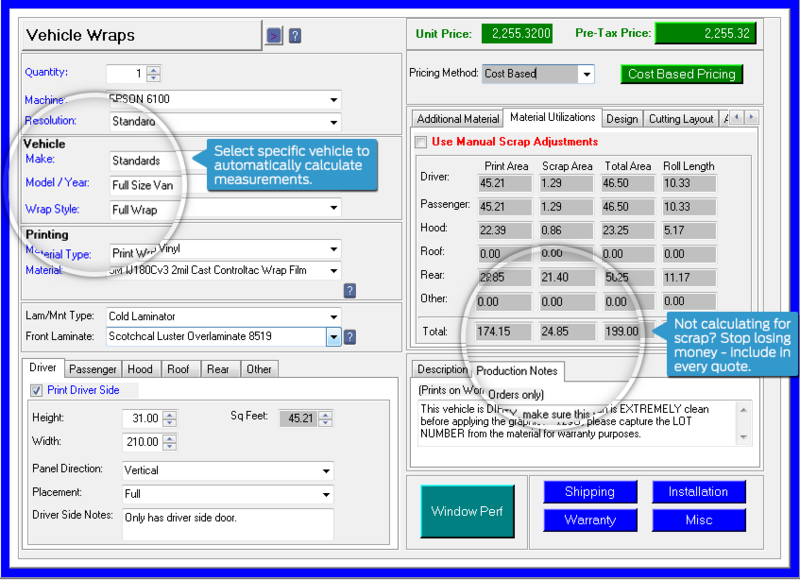 Business management software for Vehicle & Fleet Graphics. Specialized pricing and production tools for Vehicle & Fleet Graphics and Wraps. Is your estimator out? Don't worry. Create fast, accurate and consistent quotes in seconds, regardless of who is doing the estimate. Price your way. Choose area, fixed, or cost-based pricing, and switch between them on the fly. Faster closes. Create quotes at the customer's location. Print it and close the sale while you're there. One pricing screen. Capture the panel details, window perf, design, shipping or installation! 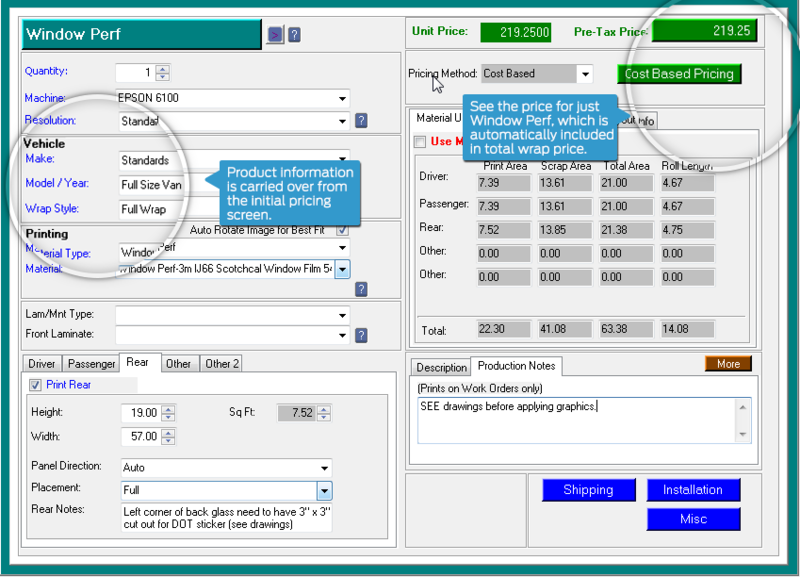 No matter how complex the project, Control can quickly price every detail including specs for a Window Perf. 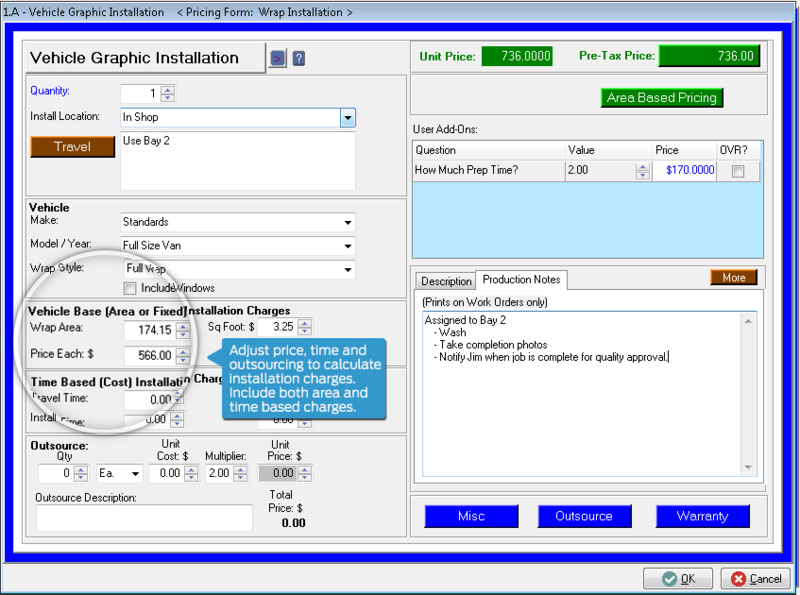 Whether done in-house or outsourced, include installation charges before you complete the order. Control allowed us to keep track of our costs and cut down on waste drastically. It made us really examine our pricing, based on material usage and waste. Cyrious Control was hands down the best product we found for the money.